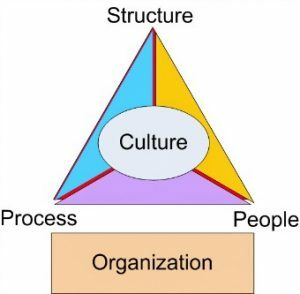 While these are challenges that any business going through a transformation must face, they are not necessarily shortcomings of culture but, rather, outcomes of culture. That is, certain types of cultures (e.g., those that emphasize consensus-based decision making) may produce more risk aversion, which may or may not be disadvantageous to the organization. It’s hard to make a blanket statement about the cost or benefit of a certain type of organizational culture without knowing the context in which that company is operating. Most work culture now aspires to establish a work environment that fosters high performance among its people given that the competition is tougher than ever and the demand and expectations from each individual understandably higher too. Most global brands like online mammoths Google, Amazon, and Facebook, etc. all boast about a high-performance culture where employees are happy at work, hence less likely to give in to the work demands and many other stresses they face day in and day out. Variations of the maxim culture eats strategy for breakfast have shown up in business journals for decades, usually attributed to a high-profile CEO. In truth, culture and strategy feed each other, but only culture can inspire, encourage teamwork, and build loyalty. Culture is emotional. It builds confidence. It’s the ultimate company benefit. But if your company culture doesn’t align with your business strategy, it could be the ultimate detriment. While management may believe company culture and strategy are aligned, the workplace could be telling employees a different story, which could negatively affect confidence and impair performance. The good news is culture can be realigned. Happy workers increase productivity many times, so it makes perfect sense for entrepreneurs to take the issue of work culture seriously as it can make or break their business especially when great employees resign and leave for another company because they feel suffocated, stressed out, unhappy, and disappointed in their current work situation. While there is often a general formula for a work culture that works, it still depends on what niche you are in and how big your company is. Entrepreneurs just need to bear in mind that whatever work culture they decide to embrace and implement, it has to support their existing business strategy and must be reviewed from time to time. That’s how you can tell whether your system is working for you or not, so you can always shift to plan B if the one you have now does not work to your advantage.